A decade ago, VIZIO, an upstart manufacturer from Costa Mesa, Calif., entered a very competitive TV market and went toe-to-toe with established brands. Against the odds, the company persevered and is now the No. 1 maker of LCD HDTVs in the United States. VIZIO’s approach was based on a close collaboration with its associates, such as Microsoft and Intel, to jointly collaborate on how the systems are designed. “What we chose to do was build an amazing lineup that will stand up with the best products in the world, but offer them at competitive prices,” McRae said. With this keen focus on building products that people want, VIZIO recently unveiled a series of sleek, new, ultra-thin notebooks, a laptop and two desktop computers. Thin + Light Lineup. With display technology being a sweet spot for VIZIO, the company spared no effort to outfit its PCs with the best monitors possible, utilizing learnings from the company’s HDTV legacy. VIZIO Thin + Lights incorporate the highest-quality components to maximize performance. With the latest Intel processers and touches such as hidden hinges and concealed venting, VIZIO is able to deliver instant start up and lightning fast response times in a highly stylized device. Laptop Lineup. The new VIZIO laptop features a unibody design that feels streamlined, sturdy and well built. The company’s full-size, flagship laptop will feature a built-in Intel Core i7 processor and discrete graphics — making it ideal for demanding computing tasks such as high-end gaming, digital content creation and multimedia production. All-in-One Lineup. 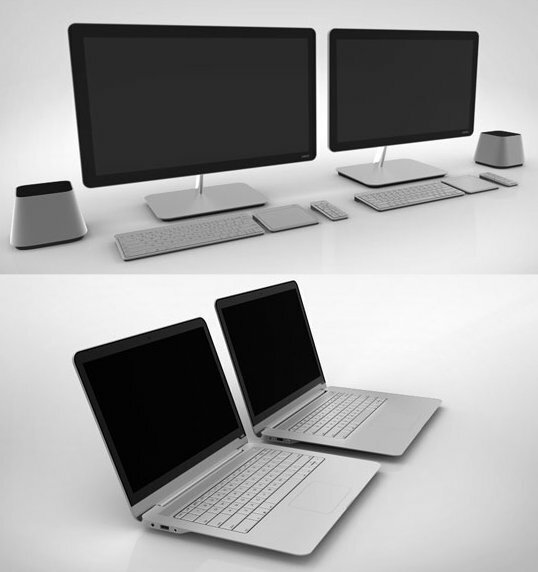 These desktops feature a unique design that makes the monitor appear suspended by an arm enclosing the PC’s cables, giving it a slim, sleek look. The PC itself is found in the base of the device. The quality of its monitor and hidden cabling make this all-in-one a beautiful product.